Researchers from METI (Messaging Extraterrestrial Intelligence), a San Francisco-based research organization,are the ones who made this observation, and they insist that these extra-terrestrial bodies who are apparently supervising us, are waiting to reveal themselves because they do not want to create panic on Earth. Jean-Pierre Rospars, an honorary research director at the Institut National de la RechercheAgronomique, quoted in Canadian Homesteading says that even though humans are intelligent, other species exist who are more intelligent than humans. He says he suspects that the reason aliens keep observing us is that they believe humans could evolve. If humans want to make contact with aliens, says the researchers at METI, they would have to be more direct. This is definitely worth some further investigations. 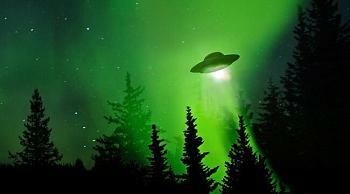 For several years there have been continuous suspicions on alien existence and no forthcoming solid proof. Forbes talks about a theory called the Fermi Paradox. According to them, the paradox basically asks the question, “ifextra-terrestrial life and even intelligent alien civilizations are not just likely, but highly probable, then why have none of them been in contact with us? Are there biological or sociological explanations for this "Great Silence?"